Although no date is given for the introduction of the kite into Japan, it is likely that kites were imported from China during the Nara period (649-794) as part of the exchange of culture resulting from the spread of Buddhism. 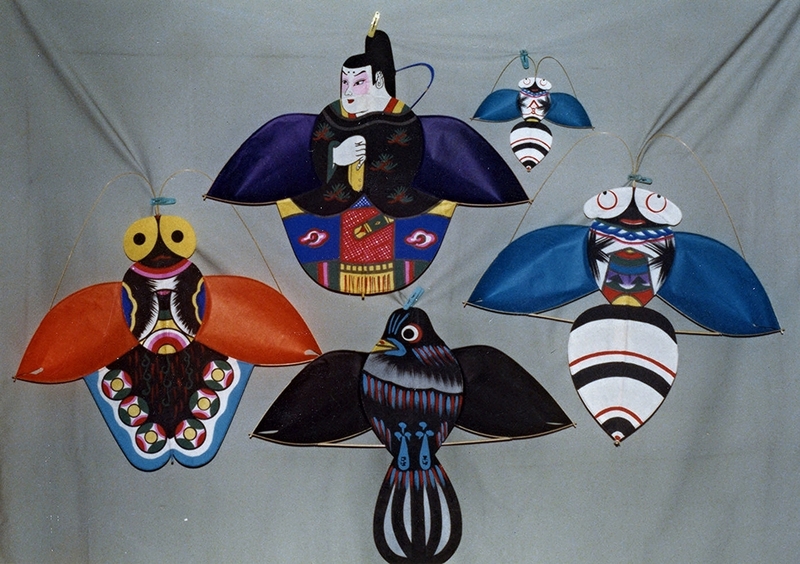 Kites have, from the beginning, been a part of Japanese festivals, holidays and other celebrations. 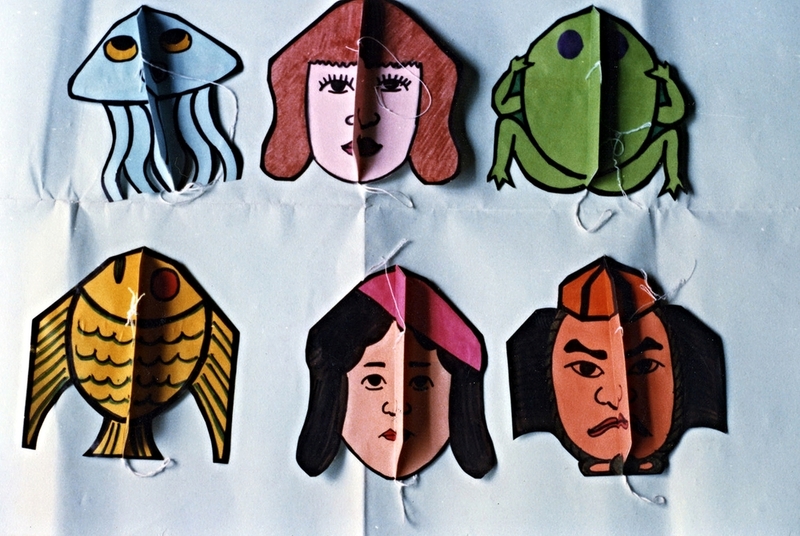 The parents of first born sons often received kites as a form of congratulations and good wishes. Kite fighting is the center of great annual festivals at Hamamatsu. For unknown reasons, kite flying became a mania around the mid-eighteenth century. The Japanese passion for it grew to such proportions that it interfered with work in the fields and in the shops. Laws were passed to curtail the activity and, in some places, to outlaw it completely. 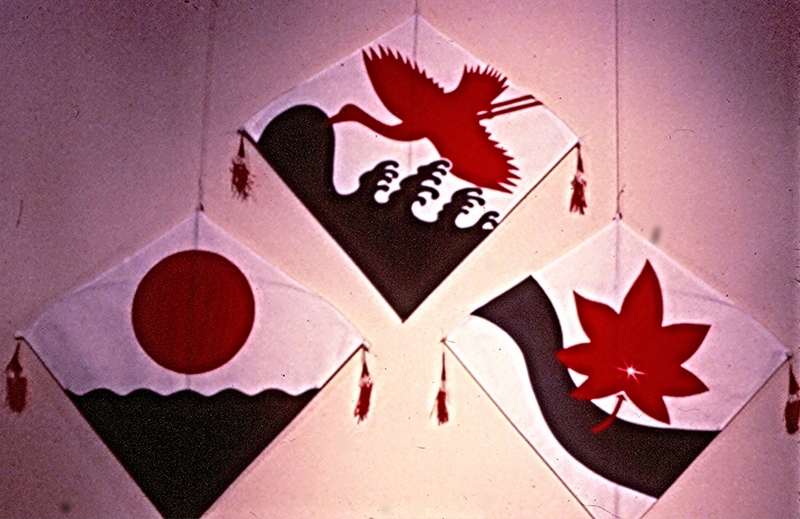 Japanese kites have an undeniably traditional flair. 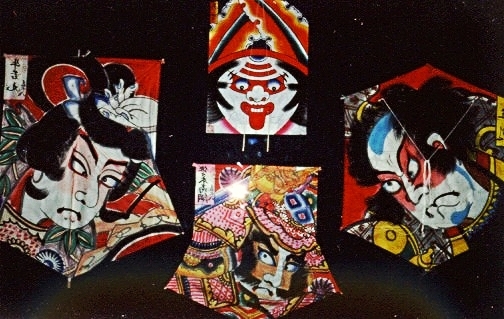 Kites painted with Kabuki actors and feudal warriors fill the sky during festivals, competing for air space with kites bearing the forms of mythical creatures, insects, fish and other animals.